29/4/09 – Acquisitions, publication and exhibitions – Toulouse, Musée des Augustins – The museums in Toulouse are very active indeed. While Paul-Dupuy is exhibiting its recent acquisitions of drawings, the Augustins is presenting its additions in paintings and sculptures since 1985. The results of the last twenty-five years are impressive. Most of the works are by artists originally from the Languédoc region and Toulouse or who worked in the area. This reflects a unified policy whose main elements are listed below. The Museum’s Italian painting collection was covered in a catalogue raisonné in 2003 (see review, in French). It was not able to include the purchase of a Gioacchino Assereto, Saint Mark Evangelist, from the Canesso Gallery made a few months later (see news item, in French, of 20/2/04), nor the Baciccio which we also mentioned on this site (see news item, in French, of 12/6/06). These are the only foreign acquisitions, along with the panel by Ferdinand Storm (see news item of 15/3/08). Although the two paintings by Nicolas Tournier (Saint Paul and A Soldier), added in 1991, are well known, thanks notably to a retrospective organized by the Musée des Augustins in 2001, the ones by Hilaire Pader, another 17th century artist from Toulouse, acquired in 2004 and 2006, are much less familiar. These are, respectively, Allegory of Charity from 1671 and a Torture of Prometheus, donated by the Association des Amis du musée des Augustins. Among other local artists active in the 17th and 18th centuries, Marc Arcis for sculpture (ill. 1) and Antoine Rivalz for painting also represent several acquisitions. Three terracottas by the first joined the museum in 1993, 1995 and 2002 while five works by the second were added between 1985 and in 2008 for the last one, Saint Michael Crushing the Rebel Angels, which we pointed out here (see news item of 20/12/08). 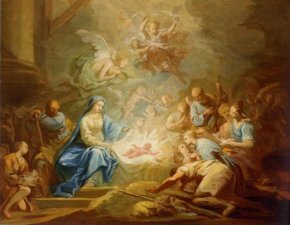 Two paintings by Jean-Baptiste Despax also joined the collections, including a very fine Adoration by the Shepherds in 1998 (ill. 2) as well as two works by Jacques Gamelin, one of which though purchased in 1985 from the Hahn Gallery had never been published nor inventoried (ill. 3) ! In 2006, the museum received a donation from Doctor Roger Trémoulet and his wife, a Portrait of Louis de Mondran attributed to François Bertrand, a painter from Toulouse for whom there is only acknowledged work, the Portrait of the Abbé Bertrand, already held at the Musée des Augustins. 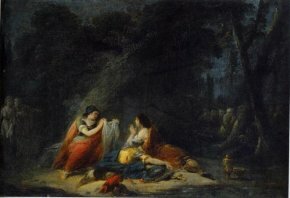 For the other works previous to the 19th century, we would direct our readers to the news items already quoted above (however, there is a study by an artist from outside the Languedoc, Jean-Baptiste Deshays, Briseis Dragged from Achilles’ Tent, acquired in 2000). The section devoted to the 19th century is particularly significant. The bust of Jean-Antoine Chaptal by Philippe-Laurent Roland, dated 1802, reflects the aesthetic canon of the previous century. 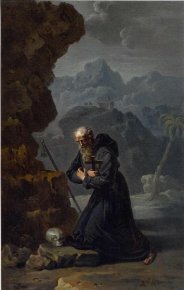 As for Joseph Roques, whose life spanned the 18th and 19th centuries equally, his descendants sold no less than twelve paintings to the museum in 1988, including a series of seven large studies preparatory for the paintings of the choir in the Daurade church, Toulouse, executed between 1810 and 1820 and a Saint Anthony, Abbot, unpublished until now (ill. 4). 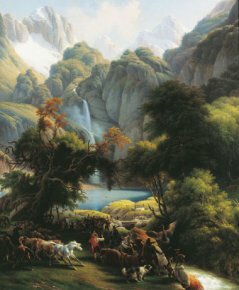 In 2000, a very beautiful landscape by Louis-François Lejeune (ill. 5) was acquired. The Baron Lejeune, whose works are particularly well represented at Versailles, was the museum curator and mayor of Toulouse ; this was the first painting by him to join the Augustins. We would also like to point out here some beautiful portraits, such as the two paintings of the little-known Philippe Peyrane (1780-1865) and that of the Countess Charles de Bertier de Sauvigny by Pierre Pichon (in 1987). The Ingres school is still not well represented in Toulouse (due to the museum’s proximity to Montauban, as explained by Axel Hemery). 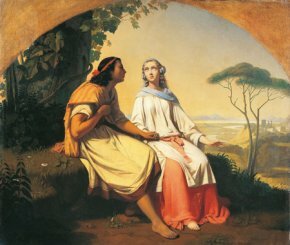 Ten years after Pichon, in 1997, the museum did acquire however a superb Romain Cazes, The Soul in Exile, exhibited at the Salon of 1838 (ill. 6). The second half of the 19th century contains a rich grouping of several paintings or studies by Benjamin-Constant, an artist which Axel Hemery would like to highlight in an exhibition, and several sculptures : bronzes by Alexandre Falguière, Théodore Rivière and Jean-Antoine Injalbert, as well as a terracotta bust by Emile Bourdelle, donated in 1988 by Mr. and Mrs. Olivier Dupeyroux. 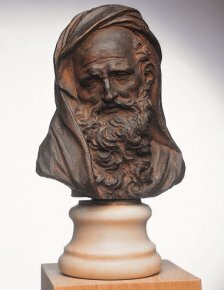 Finally, for the 20th century, there is an admirable ensemble of ten sculptures by the Toulouse artist Sylvestre Clerc purchased at auction in 1996 when the workshop holdings were dispersed (ill. 7).